Southeast Sicily shines in the department of high quality artisan gastronomy; but it does not shine so brightly in the marketing area. The island is characterized by an “omertà” tradition that could almost be seen as a form of modesty. For example, upon arrival in San Salvatore in Chiaramonte Gulfi, we looked around for some sign to show us the way – perhaps “salumeria” (delicatessen) or “macelleria” (butcher’s shop). We found nothing. The shop’s sign, in all fairnesss, did exist: it was made from Caltagirone tiles and mounted, but it was covered by an air conditioner. The curtain hanging over the door revealed no hint of the delicious pork treats waiting inside. Aside from this modest, bordering-on-mysterious way of advertising themselves, Massimiliano Castro is the pork butcher of the future. Raised in Brianza, Lombardy, he returned to his native Sicily in 1994 and set up shop in Chiaramonte Gulfi. 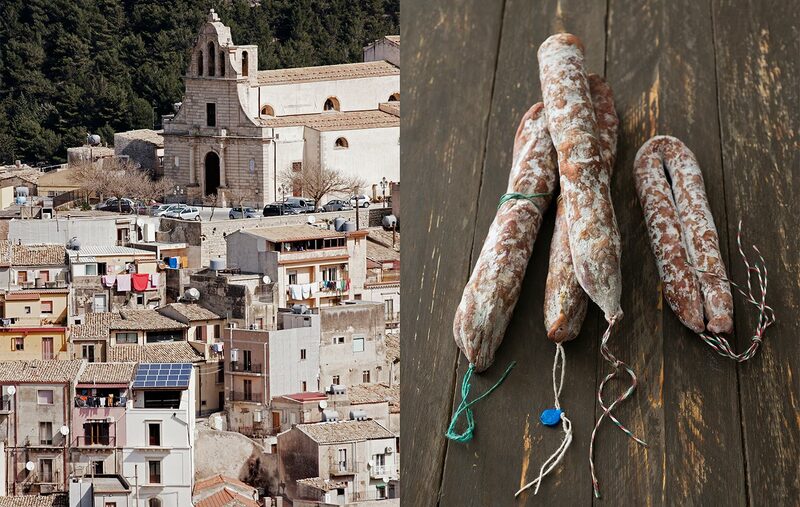 The city is famous for two award-winning products: extra virgin olive oil from the cultivar Tonda iblea, which has repeatedly won awards in international tastings and contests; and for its pigs, raised in the carob tree groves of the districts surrounding this medieval town. To fully appreciate its inherent beauty, one must have the courage to surpass the protective wall of Sixties-era condominiums. Massimiliano is an innovator. Watching him work confirms the truth of his trade that tradition is the summation of successful innovations. 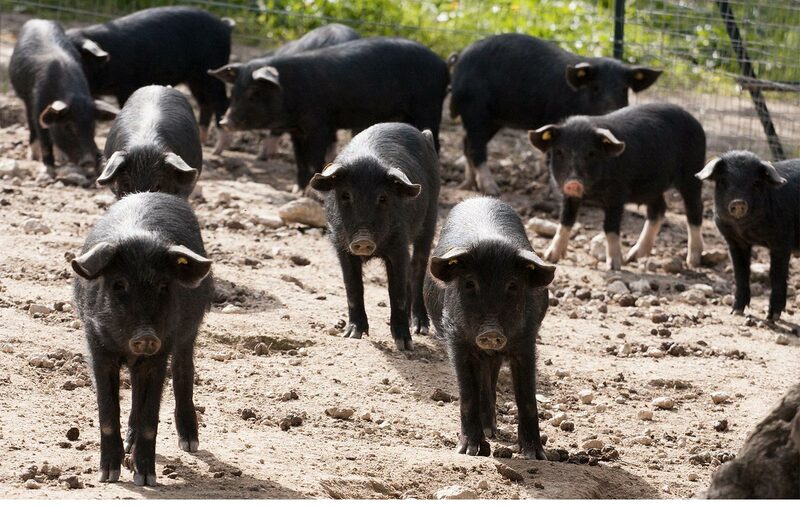 He has decided to work only with the black Iblea pig (raised on the Pianogrillo farm in Chiaramonte Gulfi by Lorenzo Piccione); he obtains great results in classic products like wild fennel sausage and pork gelatin, and using that breed brings his newer creations to higher heights. 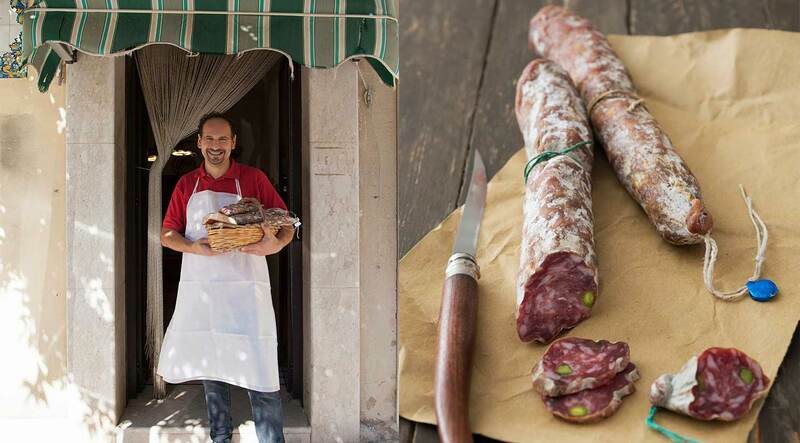 Salami with pistacchio or mixed with Nero d’Avola wine are two specialties that will undoubtedly soon become classics. Others are the Black Sicilian bee honey salami, Ragusa donkey salami, and his new donkey mortadella, which is prepared in such a way that it is admissable to eat for diverse religious dictates. The potential of this last idea is easy to imagine; in fact, the Emir of Qatar already orders enormous quantities of it. Massimiliano doesn’t stop at meat products, but he creates innovative packaging and labels (all with a QR code); meat pastries, a type of cannoli-like form of puff pastry made for children with picky appetites; and he holds events and presentations where he dominates the scene like a true star performer. We leave you with our wish that one day you have the chance to meet Massimiliano in person: he is a fountain of creative energy, optimism, and vision that will lift you up and stay with you long after you know him, enchanting you with dreams of medieval Sicilian villages and delicious salami.